The group of about 30 UK health workers, all volunteers, that includes general practitioners, psychiatrists and other medical personnel is scheduled to arrive in Freetown, Sierra Leone Sunday. MOSCOW, November 22 (Sputnik) — A cohort of about 30 UK health workers, all volunteers, are set to depart to West Africa to help with the treatment of the Ebola virus, Sky News reported Saturday. The group that includes general practitioners (GPs), psychiatrists and other medical personnel is scheduled to arrive in Freetown, Sierra Leone Sunday. Sky News reported that the measure is part of the UK government's plans to help contain the disease. The broadcaster also said around 1,000 British medical workers are already engaged in relief operations in West Africa. 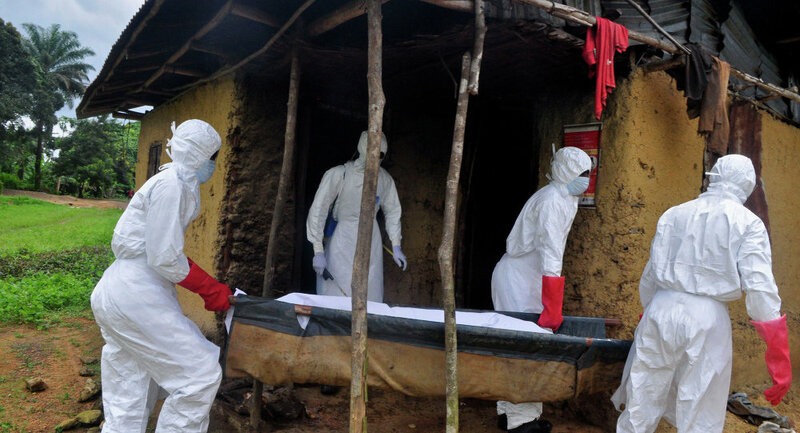 Ebola's present outbreak started in Guinea, subsequently spreading to Liberia, Sierra Leone, Nigeria and Senegal. However, the latter two countries have recently been announced free of the virus. According to the estimates by the World Health Organization (WHO), over 5,100 from the over 14,400 confirmed, likely and suspected cases have been lethal. Earlier in November, the organization said vaccines against the deadly virus were being extensively tested, with application to possibly follow as early as in January 2015.